Whether you’ve got aspirations of a flourishing garden or are content to fully rely on your local farmers market, fresh produce punches up a dish in plenty of ways. From vibrant herbs to juicy vegetables, this month we’ve chosen an all-veggie menu that’ll help inspire you for the season to come. In a small saucepan, simmer balsamic vinegar over medium heat until thick enough to coat the back of a spoon, about 5 to 7 minutes. Stir in pepper and brown sugar. 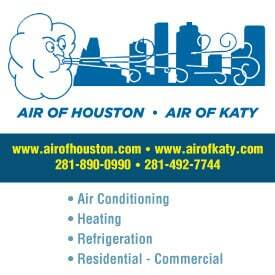 Set aside and keep warm over low heat. Season tomato slices and mozzarella slices with a small sprinkle of salt and pepper. To assemble the stacks, alternate layers of tomato slice, mozzarella slice, and red pepper. 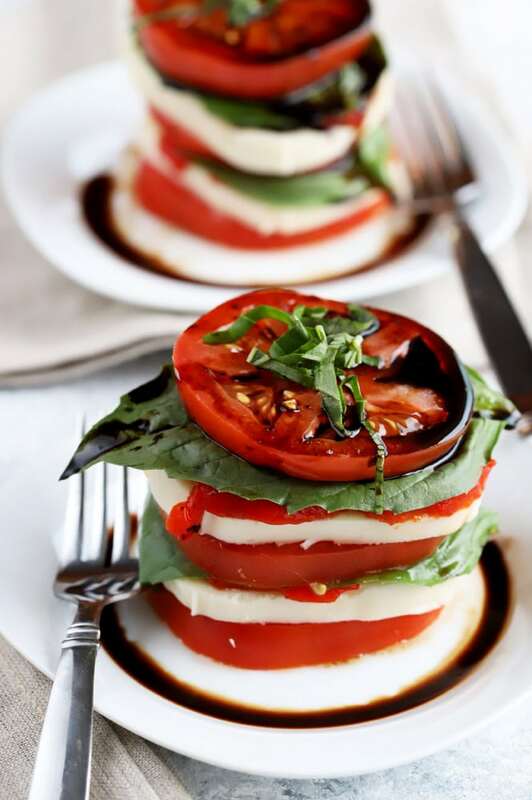 Top with a basil leaf and repeat these layers, finishing with a tomato slice. Drizzle with olive oil and balsamic reduction. Top with a garnish of fresh basil. Preheat oven to 375°F. Add peeled carrots to a large baking dish in an even layer. Drizzle evenly with oil and season with salt and pepper. Gently toss to coat well. Bake until carrots are tender, about 35 to 40 minutes. Meanwhile, in a small saucepan, stir together vinegar and honey. Bring to a simmer over medium heat and cook until reduced by half, stirring occasionally throughout. Let cool slightly in the pan. 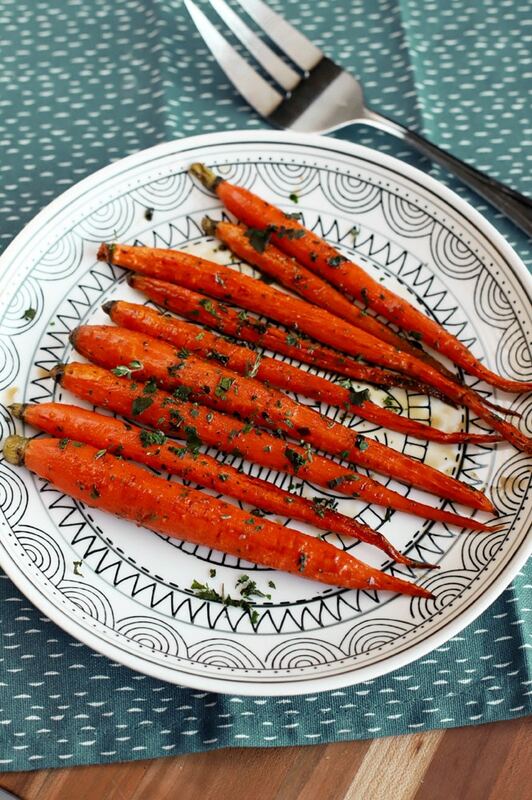 Drizzle carrots with balsamic glaze, tossing to coat well. Sprinkle with freshly chopped herbs. Serve warm. You can also use this recipe for other root vegetables cut into smaller pieces. Turnips, parsnips, potatoes, and sweet potatoes are great alternatives. In a large bowl, mix together flour, sugar, and salt for the dough. Using your hands, mix in half of the butter, squeezing the cubes between your fingers, until the mixture resembles a coarse meal. Add in the remaining butter, squeezing the cubes between your fingers once again, until the largest pieces of butter are approximately the size of a pea. Drizzle water over the dough and bring together, kneading 3 to 4 times. Flatten the dough into a disk, wrap tightly in plastic wrap, and cool in the refrigerator for 30 minutes. When ready to bake, preheat oven to 375˚F. 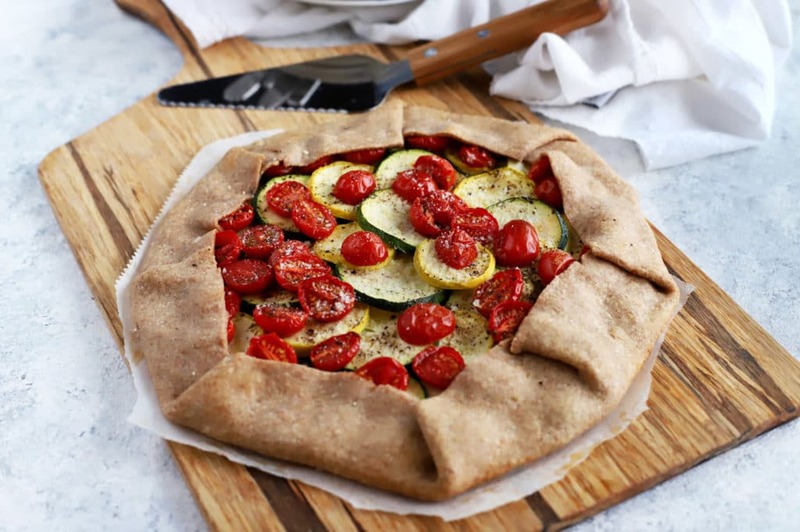 Line a rimmed baking sheet with parchment paper, then roll out the galette dough into a 12-inch circle. Spread the pesto sauce in an even layer on the dough, beginning approximately 1 inch from the edges of the dough. Add the shredded mozzarella on top of the pesto in an even layer. Top with sliced squash and zucchini, layering and alternating slices. Top with halved cherry tomatoes and sprinkle evenly with salt and pepper. Drizzle with olive oil. Fold the pastry edge up and over the filling, forming pleats as you go, to create a 1 inch border. Brush the pastry border and edges with the melted butter. Bake for 35 minutes. Transfer the galette with the parchment paper onto a wire cooling rack for approximately 5 minutes. Top with chopped fresh basil and serve. If you want to amp up the fresh herb flavor of the galette, fold in 2 teaspoons of freshly chopped basil, thyme, or oregano into the flour mixture for the dough.